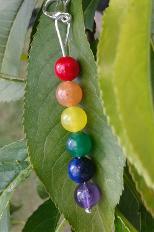 Reiki charged/blessed rainbow gemstone clip on charm. All you have to do is fill out the Prize Draw entry box below. Non UK residents welcome to enter too! Please read the Terms and Conditions at the bottom of this page before entering the draw. List of past prizes and winners. July 2018. FREE 7 day distance reiki session- Maxine Bling, France. December 2016- Ritchie Clifton, UK. Annette, UK. Barry King, US. May 2016- The winner was Ms Hannigan, UK. April 2016- The winner of the magnesium oil was Ritchie Clifton, Liverpool, UK. February 2016- The winner of the 2 reiki charged soy wax tealight candles was Kate, Ireland. January 2016- The winner of the room spray, buddha and worry dolls was Susan W, UK. November 2015- The winner of the Magnesium Oil was Erica, UK and the Colloidal Silver winner was Paula, Italy. August 2015- The winner of the Gemstone chip bottle necklace was Ms Hannigan, UK. July 2015- The winner of the soy wax tea light candles was Andrea Gray, UK. May 2015- The three lucky winners were- Annette, Mr F and Tony G.
March 2015- The two winners both receiving a lavender inhaler were Anna Armstrong, Kent and Ray M, Middlesex. February 2015- Lucky winner of the Yin Yang pendant in red was Peter Greywolf, UK. January 2015- Winner of the free 24 hour reiki session was Chloe Scott, USA. December 2014- The 5 lucky winners were: 1st Prize (gemstone bracelet) Melissa Taunton, 2nd Prize (Clip on charm) Mathew C, 3rd Prize (48hr session) Meredith Fox, 4th and 5th Prizes (24hr sessions) Ms Khan and Pat Wheatly. November 2014- The winner of the two reiki charged, soy wax tea light candles was L Gayne, UK. October 2014- The two lucky winners of the mini dreamcatchers were Steve from USA and Wendy G, UK. September 2014- The winner of the Mixed Gemstone Necklace was Lynne Spruce, UK. August 2014- 2 lucky winners of a 7 day reiki session each were Ian and Kirsty. July 2014- Winner of the Reiki Charged Rainbow Clip On Charm was Alexia Cooper, UK. June 2014- Winner of the Reiki Charged Clip On Chakra Charm was Mrs Mary P.
May 2014- Winner of the Reiki Charged Room & Linen Spray was Mrs L. Falconer. April 2014- Winner of the raffle (A reiki blessed angel painting) was Mrs Pat. J. From Surrey. March 2014- Free Prize Draw winner of a Reiki Charged Room & Linen Spray was Leigh R.
February 2014- Free Prize Draw winner of a Reiki Charged Blue Tigers Eye Bracelet was Debbie from Liverpool. December 2013- 1st Prize: Steven B. 2nd Prize: Melissa Taunton. 3rd Prize: Mrs G.
November 2013- Free Prize Draw winner of a free 7 day distance reiki session was Anna B.
October 2013- Free Prize Draw winner of 2x Reiki Charged Soy Wax candles was Claire Baxter. September 2013- Free Prize Draw winner of a free 24 hour reiki session was Kerry. August 2013- Free Prize Draw winner was Mr Guy R who won the Reiki charged chakra bracelet. July 2013- Free Prize draw winners were Claire Baxter, Neil Prachet and Tony G who all won a free 48 hour session. June 2013- Free Prize Draw winner was Mr B, Spain who won a free 7 day distance reiki session. May 2013- Free Prize Draw Reiki Charged Room & Linen Spray won by Kim. April 2013- 2 Lucky winners were Sam and Erica who both won a Beeswax Block. March 2013- Free Prize Draw, Angel Painting was won by Liz Falconer, Caithness. February 2013- Lucky winner of the February raffle for 6x Reiki Charged TeaLight Candles was Ms G, Kent. The Free Prize Draw is open to everybody-worldwide. No purchase necessary. It is always completely free and there are no hidden charges. Winners names and locations will be listed on this page. If you wish to remain anonymous or would rather have your initial instead of full name shown, please email to let me know. Winners will be notified by email and will have 7 days to claim their prize. If I do not hear back within 7 days, a new winner will be chosen at random and the prize will go to them instead.